Just a few years ago, when unemployment hovered at 10%, employers had their pick of job candidates. Getting hired was tough. But now, with unemployment at 5%, it’s a candidates market. That was just one piece of welcome news I heard last week while attending Indeed Interactive in Austin, Texas, an annual gathering of recruiting leaders and members of the media, eager to learn about the forces shaping the rapidly evolving labor market. Since Indeed.com is the world’s No. 1 job site and the leading source of external online hires, it has a goldmine of job-related data. Combine that with Indeed’s proprietary research and you get a fascinating assessment of what’s happening in the job market and what you can likely expect in the near future. First, the big picture. At the conference, I picked up a copy of Indeed’s Labor Market Outlook 2016, which looked at 12 countries, and came away with two key takeaways: 1) There is a growing disparity between the highest and lowest wage earners due to the growing specialization of the labor force and 2) Tech jobs are hot and increasingly challenging to fill. “Lots of jobs are disappearing as a result of technology and automation. Up to 50% of U.S. jobs may be at risk due to automation,” Tara Sinclair, Indeed’s chief economist, said at the conference. “But at the same time we see tons of jobs disappearing, millions more are appearing.” Two examples of emerging industries, according to Sinclair: fitness wearables and virtual learning. Along with tech, health care is the “massive elephant in the job creation space,” Sinclair noted. Sinclair emphasized that job seekers need to adapt to the constantly changing landscape. That means they need to look for ways to apply their skills in fields other than the ones they’ve been in and be open to picking up new skills. She cited the growth of short-term coding schools as one way job hunters can quickly improve their marketability. 1. Offer more flexible work opportunities One way to attract and retain talented boomers, Sinclair said, is allowing them to work flexible hours (including part-time) and remotely. Interest in flexible work arrangements is on the rise. At Indeed, searches for them rose 42% from 2013 to 2015. Incidentally, contrary to popular belief that part-time and remote jobs tend to be low paying, low skill work, over half of the top 50 keywords associated with searches for flexible work are related to high-skill jobs — many of them in the hard-to-fill tech and health care fields. 2. Consider job candidates without college degrees Sinclair admitted that as a college professor (she teaches at George Washington University), this was a tough recommendation to swallow. But she warned employers that it’s unlikely the pool of college-educated candidates will be large enough to fill job openings in the years ahead. So if you’re looking for work but lack a college degree, you may soon have a better chance getting an employer’s interest. After hitting the age of 45, David Kazachov started having trouble getting work. “It is even worse at the age of 50,” he says. When we say baby boomers are not good with technology and Generation Y don’t have enough experience, it becomes a self-fulfilling prophecy. Despite extensive experience in the finance and IT industry, Mr Kazachov was surprised to be asked if he had a laptop after making it to the final stage of a recent job interview. 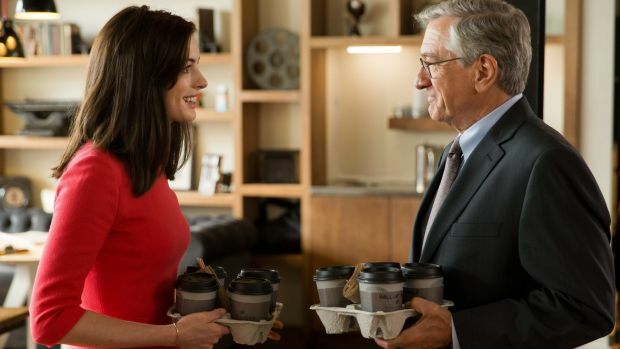 Robert De Niro showed old dogs sometimes have the best tricks in The Intern. Well, of course he did, but there seemed to be an assumption behind the question that he was too old to be savvy with computer technology. But as it turns out, ageism in the workforce is built on a faulty premise, according to leading Australian researchers of intergenerational employment. Associate Professor Leanne Cutcher from the University of Sydney Business School is about to publish a new study that has found that contrary to stereotypes and assumptions, the most innovative companies are the ones where the age of employees does not matter. One health engineering company that had a young chief executive officer appointing 65-year-old workers to new roles leading projects was among companies the researchers found to be the most innovative. The multinational company, Siemens Healthcare, recognised that people had valuable experience to offer at all stages of their career. Michael Shaw, the company’s chief executive, said Siemens “takes the best people for the job”. “Personally, for me it’s not important if the person is in their 20s or in their 60s, I am simply looking for the best minds with the best attitude”, Mr Shaw said. Associate Professor Cutcher said the company had recognised that the idea that younger people lack experience and older people have too much of it “is a nonsense” and “stifles” the exchange of innovative ideas. “Where age doesn’t matter, there is more innovation,” Associate Professor Cutcher says. “When we say baby boomers are not good with technology and Generation Y don’t have enough experience, it becomes a self-fulfilling prophecy. “Because people who have good ideas then don’t share them because they have been told they are too old. Associate Professor Cutcher said younger workers were positive about learning from older colleagues. Another new study to be released on Thursday by the Australian Seniors Insurance Agency reveals that age discrimination in the workplace is rife. It found that close to half the Baby Boomer respondents claimed they have been turned down for a job since they turned 40. The agency’s spokesman, Simon Hovell, said the study of 1200 people across Australia found three in five people over 50 said that they faced substantial obstacles in attempts to find a job. More than two in five respondents said they felt stuck in rut because they felt a career change, opportunities or promotions were limited. Baby Boomers said it took longer than six months to find a new job when making a career move. One in six said it took them five years or more to find a job. Mr Hovell said Generation Y was costing up to $2.8 billion more than Baby Boomers a year to the Australian economy. “Baby Boomers typically take three days sick leave on average per year, which doubles for Gen Y’s at an average of six days,” Mr Hovell said. The research also found that more than three quarters of Baby Boomers adapt well to technological innovations, and 73 percent are actively seeking training opportunities. “The findings point to what many organisations, academics and economists have known all along – Baby Boomers are a real asset to the workplace,” said Mr Hovell. Next month the Turnbull Government will be asking the Senate to support one of the most devastating attacks launched against poor and vulnerable Australians in recent memory. The Bill – entitled Social Security Legislation Amendment (Further Strengthening Job Seeker Compliance) Bill 2015 – proposes to give privately run job agencies unprecedented new powers to financially penalise unemployed and underemployed Australians. If passed the fines will come into effect on 1 July 2016. Fail to attend a Work for the Dole or Training exercise without an excuse deemed reasonable by the job agency. All fines (roughly $55.00) will be deducted immediately. 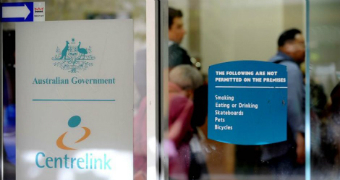 Unemployed Australians who feel they have been unfairly fined will be required to go through Centrelink’s arduous appeals process to get their money back – a procedure that can take up to four months. This means that even if an unemployed worker successfully appeals against a fine – and thousands do every year – they will still be forced to endure up to four months without a significant portion of their income support. As privately run job agencies can effectively impose these financial penalties on unemployed workers before having to provide any concrete proof, the Coalition’s proposal gives privately owned job agencies the power of life and death over unemployed workers. The dole has already been proven to be not enough to live on. A recent report showed that one in four people on the dole were forced to beg on the streets for more than a year, while 6 in 10 were required to approach a charity for help. Escaping this poverty-trap has become almost impossible for unemployed Australians – according to official government figures there are 11 job seekers competing for each vacancy, even more when you consider low-skill jobs. With unemployment already a one-way ticket to poverty for many Australians, why is the Turnbull Government introducing a bill that will make it considerably harder for unemployed workers to survive? To answer this question, it is necessary to understand the employment services industry. Comprised of for-profit and not-for-profit companies ranging from billion-dollar corporations like Max Employment to charities like the Salvation Army, the employment services industry has become a highly lucrative business. Under the Coalition Government’s 4-year $6.8 billion Jobactive program, Government payments to employment services are tied to a variety of ‘jobseeker outcomes’. The most efficient way for job agencies to maximise outcome payments is to ensure that their unemployed ‘case-load’ are, at a bare minimum, compliant with appointments and activities. Clearly the employment services industry has a financial interest in obtaining increased powers to penalise the unemployed. With these perverse financial incentives already firmly in play, there are a number of well-documented cases of job agencies bullying unemployed workers. Every day, the Australian Unemployed Workers’ Union receives new cases of Australians being bullied into unfair activities or appointments by money-hungry job agencies. Even if unemployed workers are able to muster up the courage to demand that their rights be recognised, job agencies use the threat of sanctions to ensure compliance. With the continued failure of the Department of Employment to effectively regulate the industry and bring bullying job agencies into line, unemployed workers have nowhere to go. This has created a culture of fear and intimidation throughout the employment service industry. By proposing that job agencies should be given new unprecedented powers to financially penalise unemployed workers, the Turnbull Government is sending a clear message to the employment services industry that these tactics are not only acceptable but should be intensified. If you have been unfairly fined by your job agency, join the Australian Unemployed Workers’ Union legal challenge against this unfair compliance system by contacting them on contact@unemployedworkersunion.com. You can also participate in the AUWU’s Fight the Fine campaign against this bill. Visit the AUWU’s Facebook page for more info. 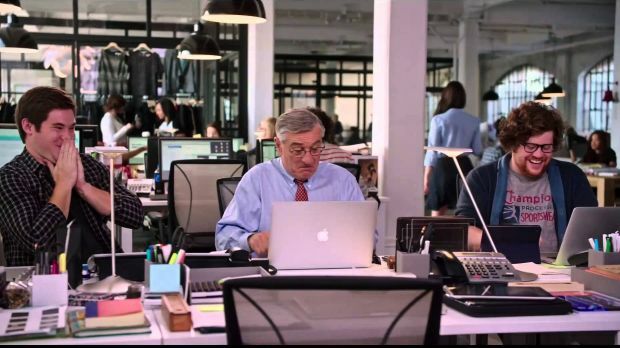 Ageism at work is rife, but fear is stopping people from talking about it. Breaking through the glass ceiling is relatively easy. I did it almost 20 years ago. But no one told me about the glass trapdoor – that was the shock nothing in my stellar career had prepared me for. At the age of 50 I left a job for family reasons for a short while, but I faced hurdles when I tried to return to the workforce. My corporate stiletto had slipped straight through the glass trapdoor. I simply hadn’t realised that in the modern workplace, 50 is considered old. This is not a unique story. The tentacles of age discrimination reach into every facet of Australian society and nothing we are now doing is working. The government bribing companies to take on older workers by paying $10,000 an older employee has been a dismal failure. Fewer than 3000 people are involved in a scheme that hoped to attract 32,000. The government’s intergenerational report makes it clear that older workers must work longer. It is a financial imperative, as it will boost productivity. An extra 3 per cent participation rate in workers over 55 is estimated to account for a $33 billion boost to Australia’s gross domestic product. As an added incentive for older people to continue to work the pension age will go up. From July 2025, the qualifying age to receive the age pension will continue to increase from 67 years, by six months every two years, until it reaches 70 years in July 2035. The fatal flaw in this grand strategy is that employers are reducing older workers from their workforce at alarming rates. Once older workers have left a job, it becomes difficult to re-enter the workforce. If they do, they are often underemployed and unable to maintain their previous standard of living. To add to the problem the definition of an older worker is getting younger. It appears to be going down in five-yearly increments. Forget 65 think 50 or even 45. For redundancy purposes if an employee is 45, they are defined as an older worker. They receive small extra payments for the privilege. They then enter the world of unemployment where it takes an average of 72 weeks for them to re-enter the workforce in some capacity. Workers are becoming so fearful of being classified as old they are spending big dollars on keeping themselves looking younger. Research shows that one of the primary reasons women go under the surgeon’s knife is to ensure employability in the workforce. As an executive coach and facilitator, working in corporate Australia, I am aware of the level of fear. That fear is not only confined to women it just starts earlier for them. The government has acknowledged employment discrimination may derail its plans. An inquiry, to be released in July, has been established to identify what is required to keep older people in the workforce. Let’s hope it packs a punch because it will have to be taken seriously if the government wants to deliver on any number of economic outcomes. I agree with Susan Ryan, the Age Discrimination Commissioner, that age discrimination is a social and economic issue affecting a growing cohort of men and women. It caught government by surprise. It is important to dispel the myths: Australians over the age of 50 do want to work. The issue is they often cannot get a job after their employment has been terminated. The new jobs they are offered are often casual or jobs that no one else wants. Financial hardship is becoming an inevitable reality for this group of older Australians and it’s affecting their health. Worryingly men, who have lost employment between 45 and 65, are one of the largest growing groups of people with mental health issues. Staggeringly, there are more people over 50 on work-for-the-dole schemes than unemployed people below 22. Even more shocking there are now 210,000 Australians over the age of 50 who are living off unemployment benefits. Serious intervention is required if for no other reason than self-interest. No amount of bribery, no amount of Botox, no amount of surgery is going to mask this problem any time soon. It’s easy for the the government to get the data, change pensions policies and set up an inquiry. It is much more difficult to change a culture. This is challenging in Australia, as ageism in the workforce is as rampant as it is silent. Silence can no longer be accepted. It’s time for governments, employers and Australians to act. Unlike the suffragettes, or powerful images of Ruby Bridges, the first black child to attend an all-white school in America, there has been no similar campaign or strong movement for the greying masses for anything to change. Given the boost to profits, productivity and reduction on the burden of the aged pension, it is hard to understand why corporate Australia, state and federal governments and the Productivity Commission are not rallying in the streets to make this happen. Jenny Brice is an executive coach and a former HR director for several large Australian companies. One former agency employee said he had seen “thousands” of jobseeker records doctored by his agency to support suspect claims against the taxpayer. Hundreds of thousands of dollars, if not millions of dollars, have been recouped at times by the department. “We had to do the same thing [because] everyone was doing it,” the source said. Three years ago a top-level inquiry into just one type of fee found spectacular rates of failure, forcing cancellation of that particular fee and prompting industry-wide ructions. Ominously, the inquiry noted that just 40 per cent of the claims it examined could be confirmed by documentary evidence, or by the testimony of jobseekers and their employers. The Abbott administration has made some changes to the scheme that take effect mid-way through this year. But critics say these changes will do little, if anything, to stop widespread gaming of the contract. But added that “while there [were] legitimate concerns about some aspects of the policies”, more than a quarter of job seekers found a job and exited JSA within three months. “This is despite the fact that the system is incredibly complex, with a confusing payment model and thousands of pages of rules that must be interpreted and applied by the individual staff who work day in, day out, with people who are unemployed,” the statement said. The not-for-profit organisation said the new employment services contract would reduce the scope for incorrect claims by simplifying payments. The ABC has learned that fraud investigators attached to the Department of Employment have launched probes into many of the major agencies contracted to the program since its inception in 1998. For-profit companies, including the market leader, Max Employment, have been investigated for particular allegations, as well as well-loved Australian charities including the Salvation Army. There are a variety of means by which the contract is exploited. The ABC is not suggesting that any particular agency is engaged in the full range of rorts, or other means by which the contract can be optimised. But despite a long parade of whistleblowers detailing allegations of the misappropriation of taxpayer funds by some agencies, and highly questionable practices by others, the government has declined to detail instances where it has ever sanctioned any single agency operating under the scheme. But what the department does is only reclaim those from the failures it finds. So even if you are going to put in claims that have a failure rate, you’re still going to have a lot of them not found and keep the money … there’s still an incentive to make the claim. In one case to be examined on Four Corners, investigators were forced to shelve their inquiries when they discovered a departmental official had explicitly told the agency that it could still collect fees for services the Government knew had never been delivered. 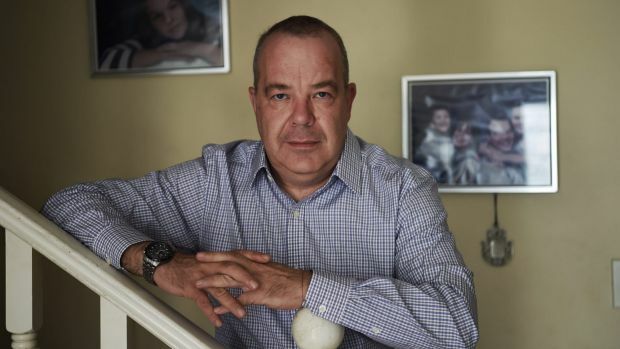 Rupert Taylor-Price, whose company provides software to Job Services Australia providers, says the scheme is being routinely “optimised” to the detriment of jobseekers. “Hundreds of thousands of dollars, if not millions of dollars, have been recouped at times by the department,” Mr Taylor-Price said. “But what the department does is only reclaim those from the failures it finds. He says he believes only one in 10 participants in the program enjoy “a better chance of gaining employment”. The program was created 17 years ago, when the Howard government effectively privatised the Commonwealth Employment Service (CES). The new policy created a pseudo-marketplace of jobseekers who were forced under Centrelink’s rules to attend private agencies, which would be paid to find them work. Since then, more than $18 billion has been spent on the welfare to work program – first labelled Job Network, and now known as Job Services Australia. It has been a cheaper scheme than the CES, but critics say it has also been far less helpful at assisting long-term unemployed people back into work. Academics and experts have repeatedly pointed out the glaring paradox at the heart of the program: how can these agencies have any impact on the unemployed when the number of jobless far outstrip the number of job vacancies? “[The welfare to work program] patently hasn’t worked,” said Professor Bill Mitchell, director of Newcastle University’s Centre of Full Employment and Equity. “It’s an impossible task … there’s not enough jobs to go around. You can’t make people search for jobs that aren’t there, and that’s the dilemma of the whole system. Periodically, the jobs program has been mired in scandal. A major Productivity Commission inquiry in 2002 made adverse findings about the program, including that the long-term unemployed were being “parked”. 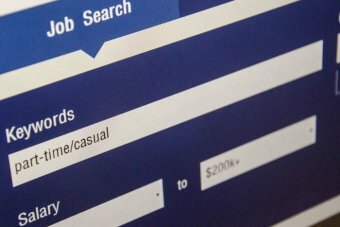 Just three years after Job Network was launched, one prominent job agency was accused of shovelling thousands of people into phoney jobs. In what has become a pattern, a subsequent inquiry cleared the agency of fraud but demanded the repayment of thousands of dollars. Insiders have told Four Corners that department managers have been reluctant to tighten up the program’s governing contract to prevent blatant rip-offs. “It’s absolutely vulnerable to exploitation,” said a former senior departmental investigator. He said he had significant doubts about the will of successive governments to root out the fraud perpetrated against the contract. “The department was more interested in getting its money back [than sanctioning agencies] … it’s very politically-driven,” the former investigator said. The Department of Employment provided figures to Four Corners which showed that millions of dollars are routinely recouped from agencies, as a result of audits, self-identification by agencies and other “program assurance activities”. In 2011–2012, $8.34 million was recovered. The figure spiked to $23.81 million the following year after the inquiry into one particular type of fee. And last year, another $9.12 million was reclaimed. A department spokesman said typical repayments by agencies amounted to “less than 1 per cent of the amount paid each year”, and said it had “robust systems” to detect inappropriate claims for fees. He would not answer a series of specific questions about past or current investigations conducted by the department. “In cases of suspected fraud, matters are referred to agencies such as the Australian Federal Police and Commonwealth Director of Public Prosecutions,” the spokesman said. Our TV production company, based in Melbourne, is currently researching the area of baby boomers / seniors employment to assist us in a TV series we are looking at producing. I am looking for personal stories to help demonstrate the success and also personal struggles when it comes to +50s gaining employment. Have you re-trained in a new industry? Are you a fish out of water, where you have been employed by a youthful company or brand specifically because of your expertise/experience? Have found a new lease on life because of your new found employment? Are you simply ‘bored’ in retirement and seeking work for something to do? Or is going back to work after retirement an economic/personal choice?